BELLE was designed and realized for the observation of CP violation in the B meson system. In 2001, BELLE, along with BaBar, observed large CP asymmetries in B decays, which were expected and consistent with theoretical proposal of Kobayashi and Maskawa. Afterwards, CP violation in B meson decays was measured with high precision using different B decay modes. Due to these results, in 2008, Kobayashi and Maskawa became Physics Nobel Prize. In 2010 data taken at BELLE was stoped in order to prepare next generation experiment BELLE II. 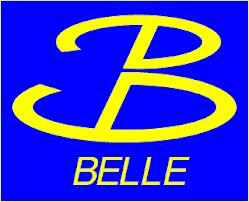 The BELLE contribution to the elementary particle physics is not restricted by CP violation studies. The world’s largest data sample at collider permited to study also -decays, charm hadrons as well as charmonia and bottomonia production and decays. BELLE contributed to the current landscape of exotic quarkonia. In 2003, BELLE observed the first such state, X(3872). Then, ITEP physicists observed two charged charmonium-like states and and two charged bottomonium-like states and . Theoretical interpretation of these states is not completely clear now. Therefore it is importatnt to continue theoretical and experimental investigations of the observed states and to search for the new quakonium-like states. It is in this field ITEP physicsts in BELLE have concentrated their reasearch activity.